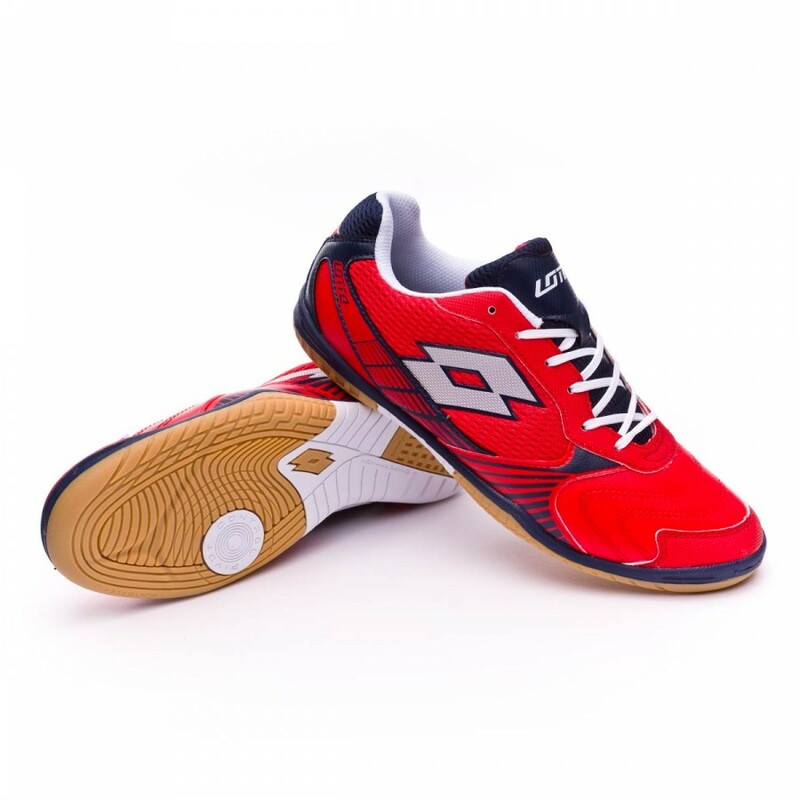 New generation of the Lotto Tacto II 500 indoor boot. Medium-end model for the 2017-2018 season. 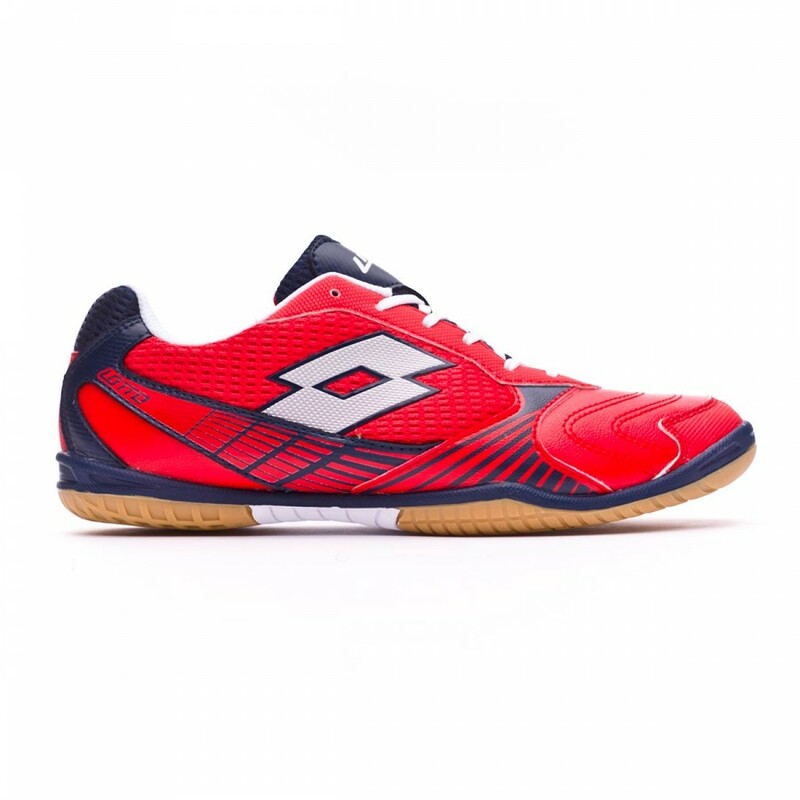 The new blue Lotto Tacto II 500 indoor boot, is this line´s second generation which combines synthetic materials that perfectly adapt to the player´s needs, providing him with a light and comfortable boot that also has great touch when making contact with the football. 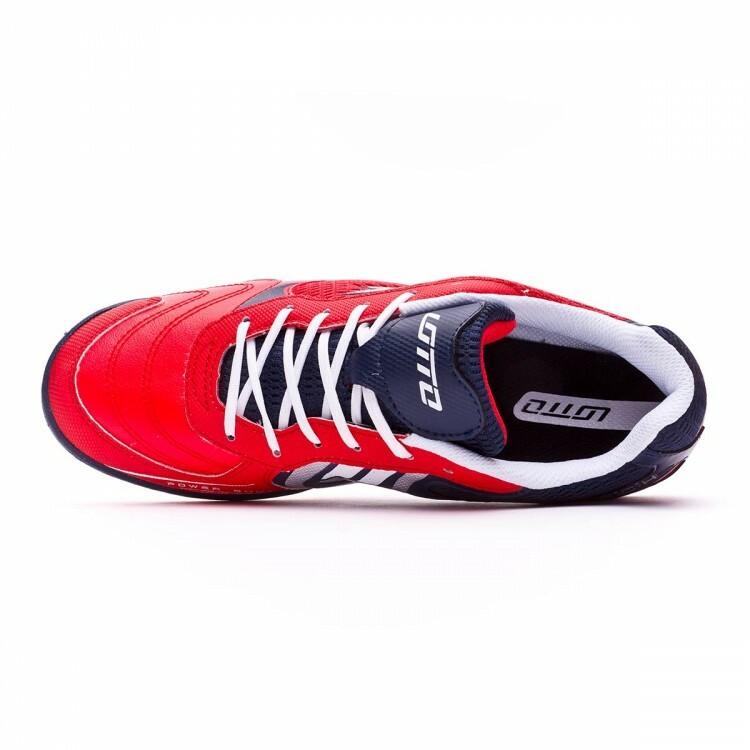 Made of synthetic leather and textile, to achieve perfect contact with the football, it also makes the boot lighter and breathable. Furthermore, the boot perfectly adapts to your foot. 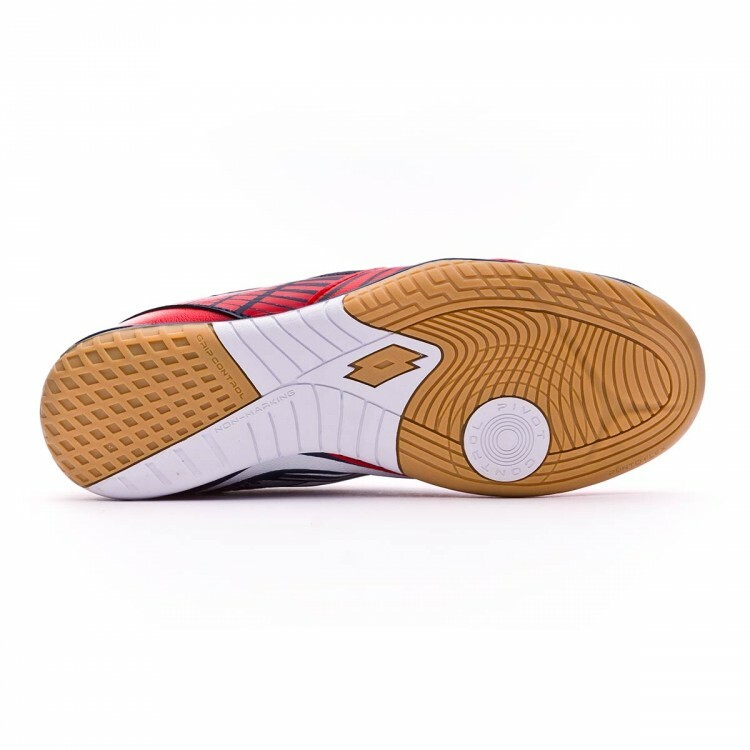 It is equipped with a reinforcement on the toecap to protect this part from impacts. Made of EVA, which in addition to the insole made of the same material, increases comfort. 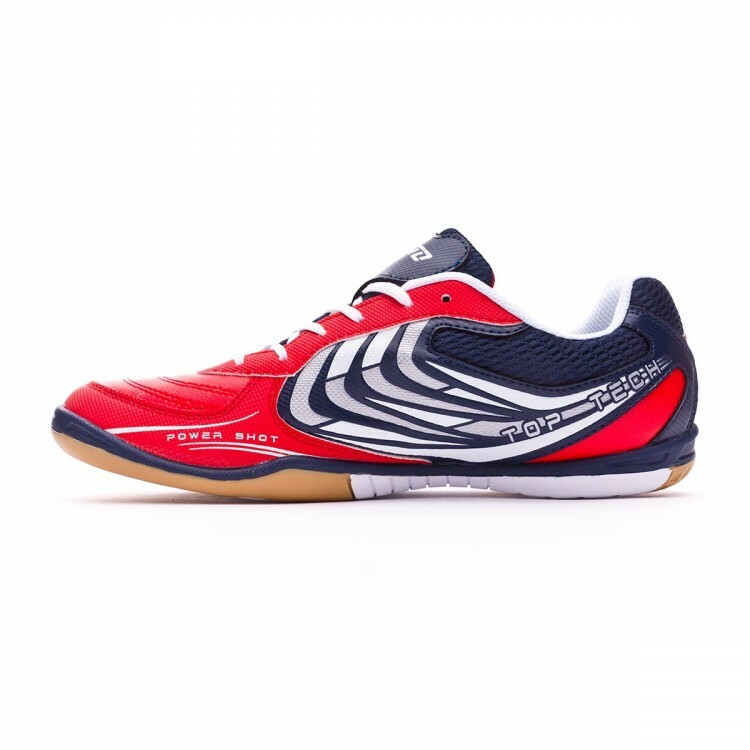 Made of rubber of different densities, which guarantees perfect traction during any type of movement. Due to the materials it is made of, it is suitable for indoor pitches and little abrasive surfaces.